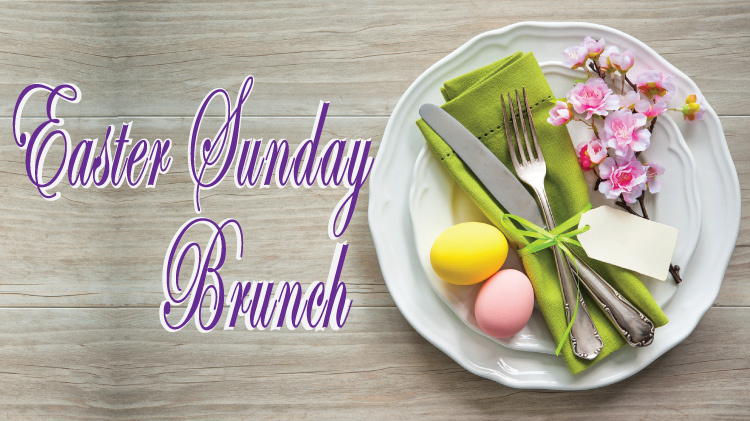 Easter Sunday Brunch features fresh fruit and vegetables, cheese and assorted salads, omelet station, and Belgian waffle station. Bagels, muffins, and assorted pastries. Cottage cheese, deviled eggs, and cole slaw.